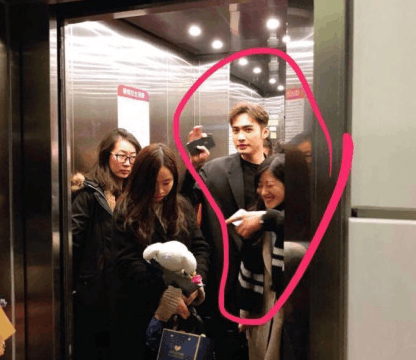 The rumors which have been going on for a while seem to have escalated because of one picture where Zhang BinBin and his manager were inside a crowded elevator. He can be seen slinging one arm around his manager and waving to people with the other hand. It seems to have kickstarted the gossip mill with reports saying that Zhang BinBin's manager used her position to conveniently book more work for Zhang BinBin that could have gone to the other stars of Jaywalk Studio. At the news, some fans have allegedly decided to boycott the actor. Now, I don't know just how many fans are we talking because Zhang BinBin's weibo account seems relatively unscathed. I'd like to think that most people are not so irrational anyway. One picture is hardly enough to conclude anything, and the actor obviously has nothing to hide by how casually he's looking into the camera. I'm calling a bluff on these until proven otherwise. Even if it were true, he should be free to date who he wants. Ah, I did not know there was a link since I was skimming on mobile. I don't think it's true but if it is I'm happy for him as he's free to date whoever he wants. And oh please. He is a good actor. That's why he's getting the roles period. LOL! This must have been started by miserable antis. He's just close to his manager like most artists. Seriously, is there a young heartthrob Chinese actor who would act that casually in front of cameras with the girl he is allegedly secretly dating? He's not dumb! He's getting work because he's very talented and paid his dues playing plenty of supporting parts. Also if she is HIS manager of course she is booking work for him! That's her job! Why the heck would she give work to other artists? It is very very likely false rumors by jealous fans that wish to be VZ's girlfriend, believing themselves to be prettier and why should he date her instead of them, and etc. Also, YM's haters doesn't like Jaywalk studio anyway so they want to attack how the system work. But do we ever see VZ in any good work? Or maybe good work or good project, but the characters he get to play weren't they always the bad ones? If he was the main lead in 3L3W or Fuyao then we can say the manager tried to promote him more whatsoever...(not sure if her power is in charge of who gets which roles in the company too) however, with his looks and talent I don't think people will actually complain if he was actually the one who got promoted to those roles too. Exactly. That rumour is silly. It's not like he's getting tons of roles or even great roles - he's played supporting roles as the villain or second/third lead. He's only had one lead role so far and a couple coming up. 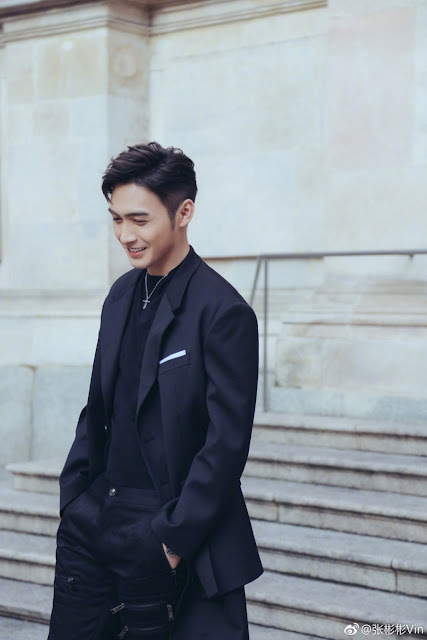 His career has actually been very slow compared to the other actors who debuted at about the same time in JayWalk (Dilireba, Zhang Yun Long, Vengo Gao, Li Xirui). The two sleeves are not the same.ZBB was wearing suit jacket but the other arm was not in suit sleeve. And why did he take two mobile phones on each hand? This was obviously another person's hand. Boycotting the actor? Total B.S. Its another man's hand beside the manager. The clothes and the hand position did not match. Unless bin bin is luffy from one piece who can stretch out his hand like rubber.